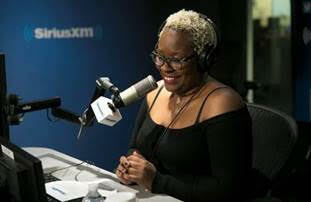 Yesterday SiriusXM announced the launch of “Last Mile, Second Chances,” an exclusive new show about formerly incarcerated women moving back into society and how communities can help in the transition. The show airs on SiriusXM’s Urban View channel 126 at 9:00 am ET. Hosted by justice reform advocate Topeka K. Sam, the compelling weekly show focuses on women personally affected by the penitentiary system sharing their experiences, traumas, and stories and tackles the topics of disenfranchisement, paying restitution, and the larger issue of incarceration and its ripple effects on women’s lives and that of their families. Upcoming guests on “Last Mile, Second Chances” include advocates Susan Rosenberg and Laura Whitehorn; New York University doctoral student Michelle Jones; author and activist Sibil Fox Richardson; Director of U.S. Prison Programs for the National Religious Campaign Against Torture Johnny Perez; Soros Justice Fellow James Kilgore; and The Federal Defenders of New York’s Director of Mitigation and Client Services Vivianne Guevara. Having served three years in a federal prison, host Topeka K. Sam witnessed firsthand the epidemic and disparity of incarceration on women. The shock of learning some of the most gruesome details leading these women to jail – and their loud cries at night as they missed their children – prompted her to become their voice once she was free. Topeka K. Sam is the Founder and Executive Director of The Ladies of Hope Ministries whose mission it is to help disenfranchised and marginalized women and girls transition back into society through spiritual empowerment, education, entrepreneurship and advocacy. She is also the founder of Hope House NYC, a safe housing space for women and girls. Topeka serves on the board of directors for Grassroots Leadership. She is a Beyond the Bars 2015 Fellow and a 2016 Justice-In-Education Scholar both from Columbia University, a 2017 Soros Justice Advocacy Fellow working on Probation and Parole Accountability, a 2018 Unlocked Futures Inaugural Cohort Member and a founding member of The National Council for Incarcerated and Formerly Incarcerated Women and Girls. Topeka attended Morgan State University; she lives in the Bronx, New York. SiriusXM subscribers can hear Urban View programming via SiriusXM On Demand, through the SiriusXM app on smartphones and other connected devices, as well as online at www.siriusxm.com/player. SiriusXM’s 200+ channels – including SiriusXM’s Urban View channel – are also available for streaming to SiriusXM subscribers nationwide with Amazon Alexa. Go to www.SiriusXM.com/AmazonAlexa to learn more.